Brittain starts off by asking readers to “just notice his photographs“, perhaps realising that Moore’s work did not match the usual fare served up in this journal and may have been quickly dismissed by the average reader. Indeed, towards the end of the article Brittain states “I was undecided about Ray Moore’s photographs until I found myself entertaining certain of their moods.” This is not an unusual reaction to Moore’s work; I myself had difficulties with understanding or interpreting many of his pictures when I first encountered them, perhaps more so the earlier ones. As time went on and his work evolved into the kind of pictures delivered in ‘Every So Often‘, I felt I was in tune with what he was doing. I find many, if not all, of the photographs in that book quite poetic, even to this day. 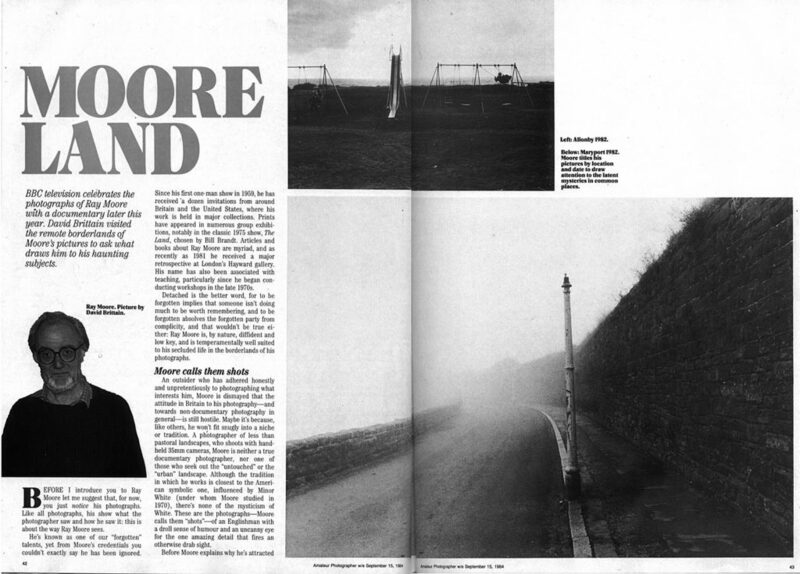 The article is presented here as images of the magazine spreads, to give an idea of the bold presentation of Moore’s work that David Brittain achieved. Click on the thumbnails to view the larger images; click on the ‘Expand’ icon to view full size. Pages 1 & 2 from the Amateur Photographer article by David Brittain. 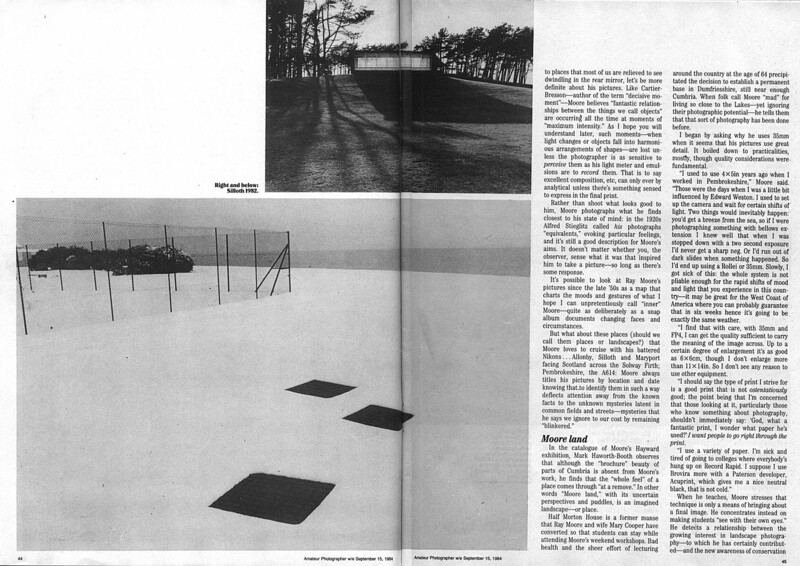 Pages 3 & 4 from the Amateur Photographer article by David Brittain. 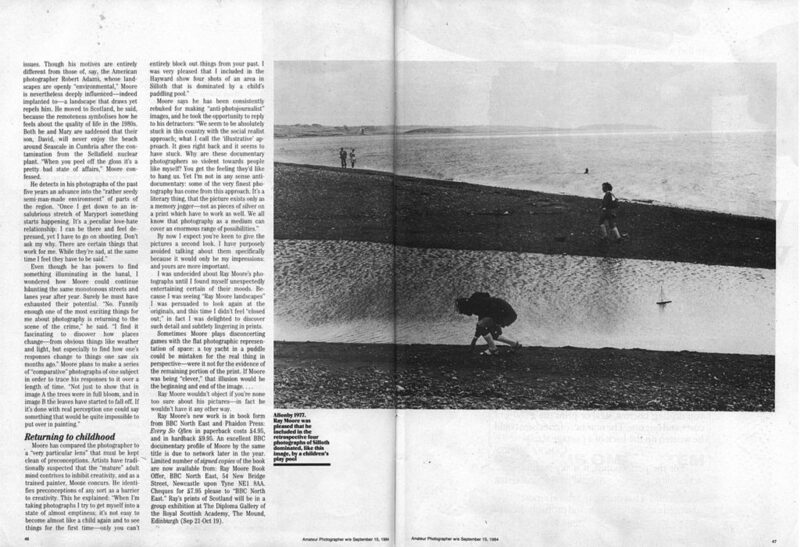 Pages 5 & 6 from the Amateur Photographer article by David Brittain.